The Edition POPCAP is mainly sold through this website but is also regularly exhibited in collaboration with galleries, festival and project rooms throughout the realm of photography. Should you be interested in showing the Edition POPCAP or a selection of works, please do not hesitate to inquire here. A selection of South and East African photography from the Edition POPCAP was on display at the African Innovation Foundation in October 2015. The official launch of the Edition POPCAP presented works from Guillaume Bonn, Filipe Branquinho, Ilan Godfrey, Tahir Carl Karmali, Dillon Marsh, Paolo Patrizi, Léonard Pongo, Zied Ben Romdhane, Romaric Tisserand and Graeme Williams. The Edition POPCAP was first presented during the Gallery Weekend Berlin Artificial Image at at Fahrbereitschaft - haubrok foundation in Berlin - Lichtenberg. A series of portraits by Zied Ben Romdhane, Léonard Pongo and Romaric Tisserand were presented at Photoatelier Setzer in the framework of Eyes On Connect in Vienna, Austria. The works are a selection of the limited print edition of the CAP Prize winner's works. 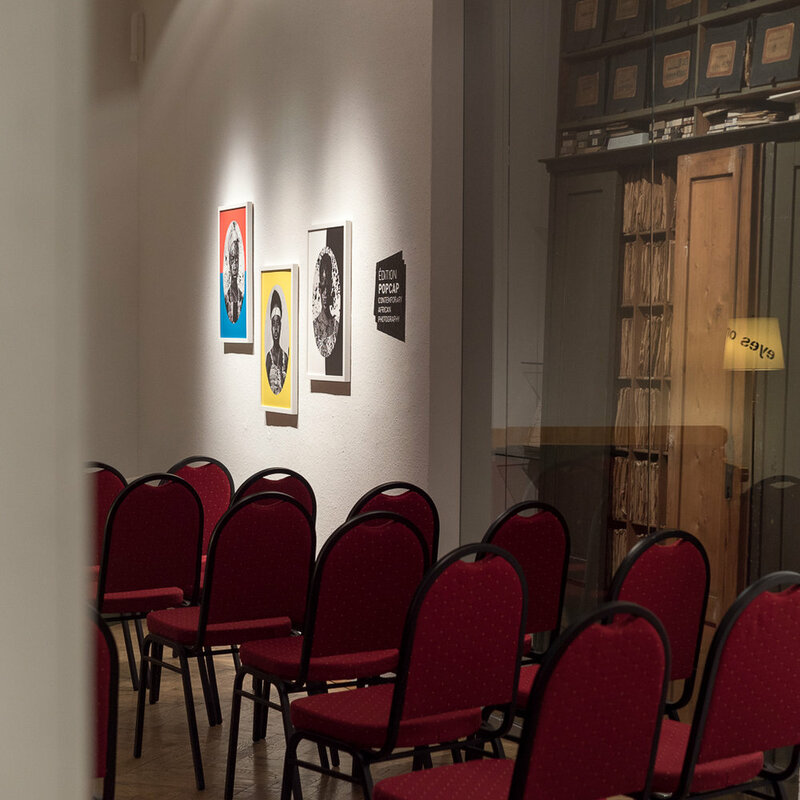 In celebration of the season opening of Basel’s galleries, the Edition POPCAP in dialogue with historical African Photography from the archives of the African Photography Initiatives was presented at Heuberg 24, in Basel, Switzerland. The exhibition comprised 13 works from past winners of the CAP Prize. The photographic series were complemented and counteracted by historic photographic works taken from the archives worked by African Photography Initiatives. This combination of contemporary and historic images should stimulate exciting dialogue between the images, and in turn shake up more traditional and limited representations of Africa. The exhibition comprised roughly 100 works from Congo, South Africa, Kenya, Cameroon, Italy, Tunisia, Angola, Mozambique, Namibia and Egypt. 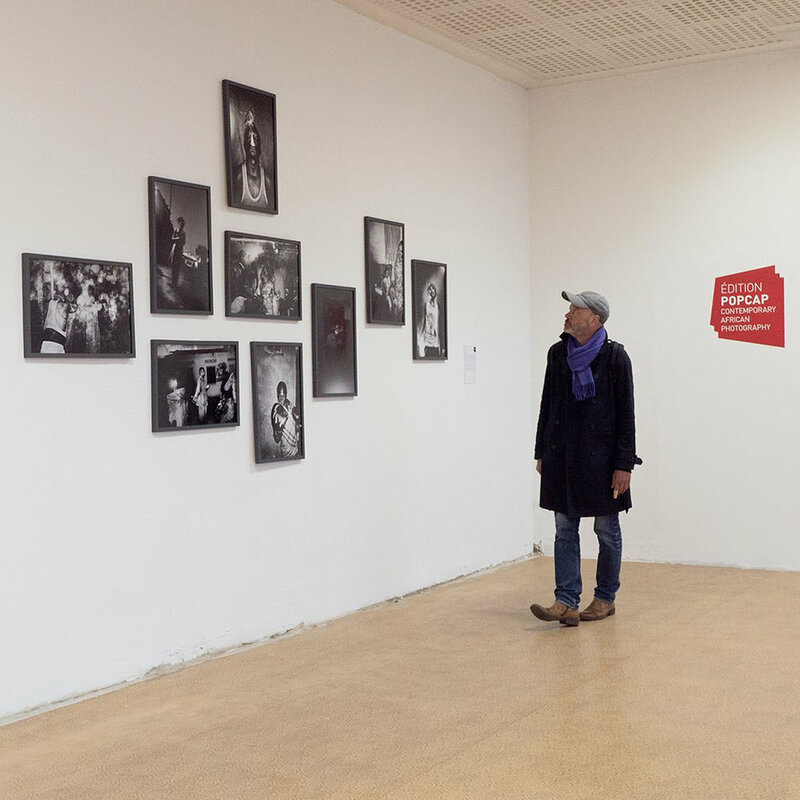 The full Edition POPCAP was on display at Photobastei in Zürich in dialogue with a selection of historical African photography from the archives of African Photography Initiatives. The Edition POPCAP was on display at Hotel Euler in Basel, Switzerland. The exhibition was also presented on the framework of the 6th annual IAF Basel Festival of Contemporary Art.